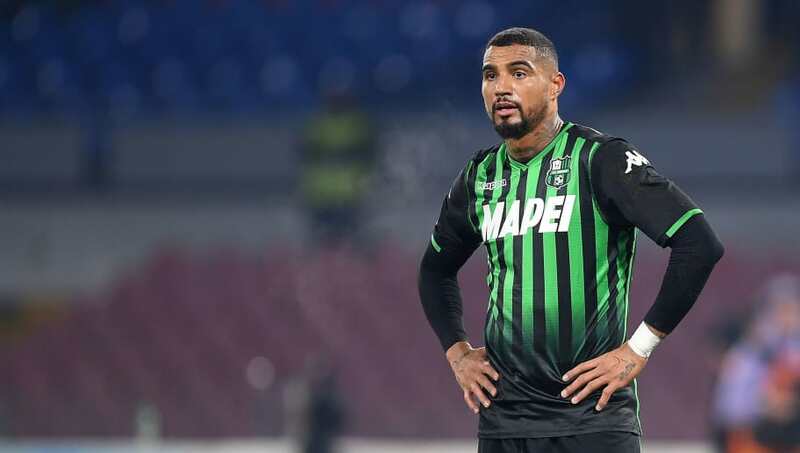 ​Barcelona are close to signing Kevin-Prince Boateng on loan from Sassuolo in one of the more surprising bits of transfer news to emerge this month. The former Ghanaian international has been identified as having the right profile for Ernesto Valverde's team, and will be brought in to help them compete on multiple fronts during the second half of the season. Reliable Italian journalist ​Gianluca Di Marzio confirmed that Boateng is in advanced talks to sign for Barcelona, with Sassuolo CEO Giovanni Carnevali flying to Spain on Monday afternoon to finalise negotiations. It will initially be a loan move until the end of the season, whereupon ​Barcelona will have the option to make the deal permanent for €8m. Boateng was a talented but inconsistent player during his brief time in the Premier League with Tottenham and Portsmouth, leaving the latter in 2010 to join AC Milan, where he failed to realise his potential. Since leaving San Siro he has spent time with Schalke, Eintracht Frankfurt and Las Palmas. His one previous season in La Liga was the most prolific of his career as he scored ten goals in 28 appearances. He made an impressive start after joining Sassuolo last summer, scoring in three of his first five Serie A appearances. Injuries have hampered his progress more recently though. Barcelona and Sassuolo already have an established business relationship from the sale of Marlon Santos to the Italian club last summer. This puts Sassuolo in a good position to hoover up any more young players who don't make the grade at Barcelona, and Barcelona are keeping a close eye on Sassuolo midfielder Stefano Sensi.